Sometimes it’s nice to make dinner and lunch at the same time, which is exactly what I did last night. I was in the mood for something lighter and healthier (after a ton of heavy eating in cottage country) so the first thing that came to mind was, of course, quinoa. However, I am starting to get real sick of quinoa salads where quinoa is used as the base, so I decided to use spinach as the base instead and use quinoa as one of the many lovely toppings. Everything I put into this salad was quite easy to prepare. First I roasted a couple sweet potatoes. Because I didn’t have much patience to roast the potatoes for a long time, I chopped them up quite small and roasted them at 475° F for 20 minutes. They turned out quite nicely, aside from a couple burnt pieces, they were crispy and tender. 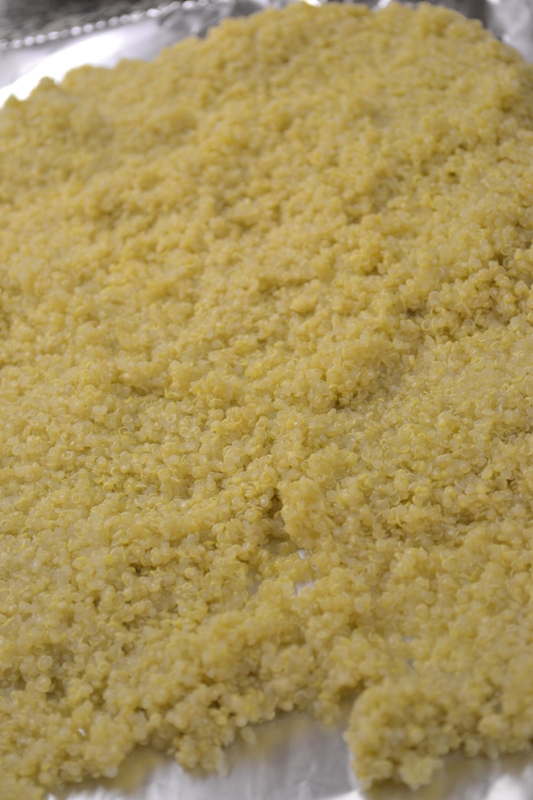 I prepared two cups of quinoa and spread it across a tray when it was done so it would cool down quickly. As the potatoes were roasting and the quinoa was simmering, I halved cherry tomatoes, and chopped up avocado and herbed goat cheese. In my vinaigrette was olive oil, balsamic vinegar, mustard, and honey — easy peasy. 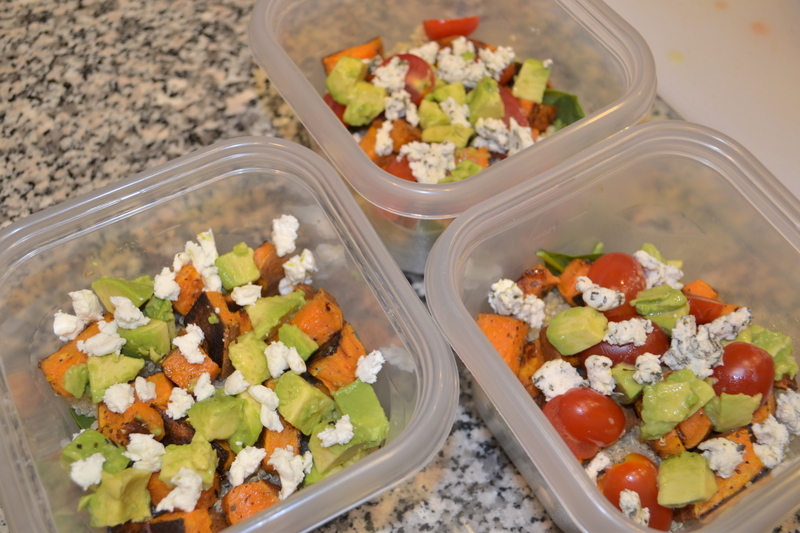 Oh and I also made some for my sisters and boyfriend — they are quite excited for their lunches. Preheat oven to 475 ° F. Line baking sheet with tin foil. 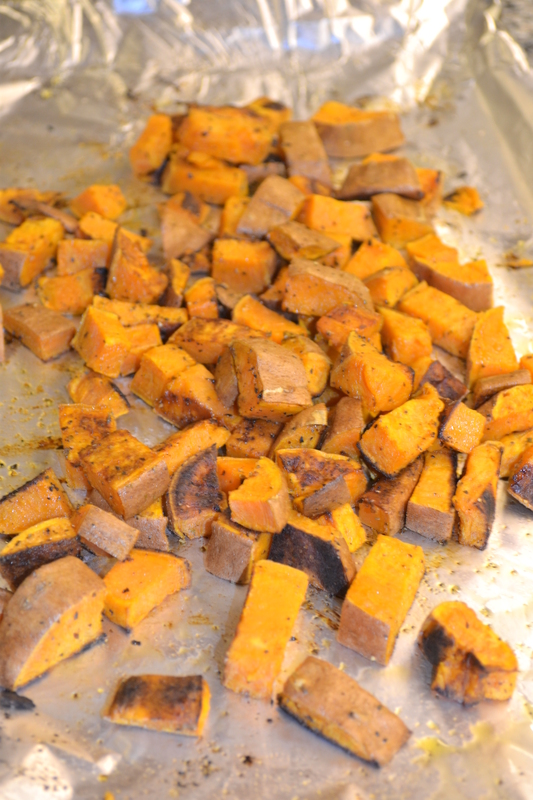 Mix cubed sweet potatoes with olive oil, basil, oregano, garlic powder, onion powder, salt and pepper. Spread across baking sheet and roast about 20-25 minutes. Meanwhile, place 2 cups of quinoa and four cups of water in medium pot. Bring to a boil then down to a simmer until all the water is absorbed. 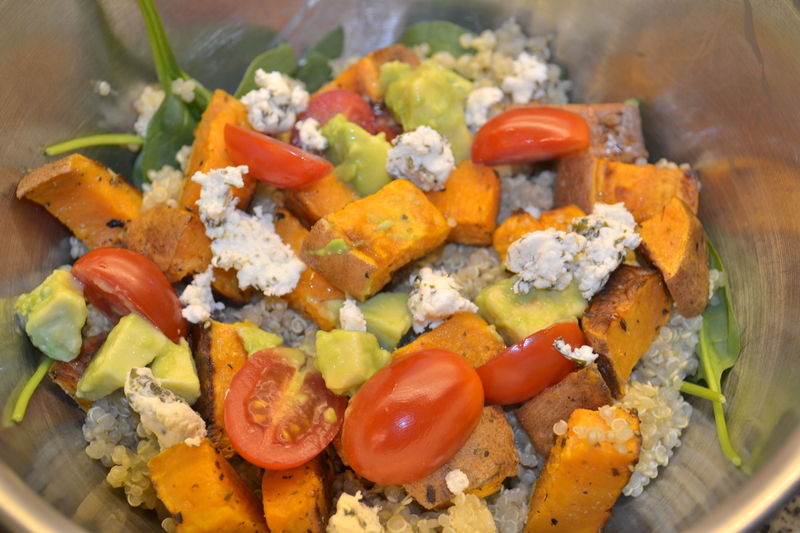 Once quinoa and sweet potatoes have cooled, place spinach leaves, then quinoa, sweet potatoes, tomatoes, avocado, and goat cheese in serving dish. 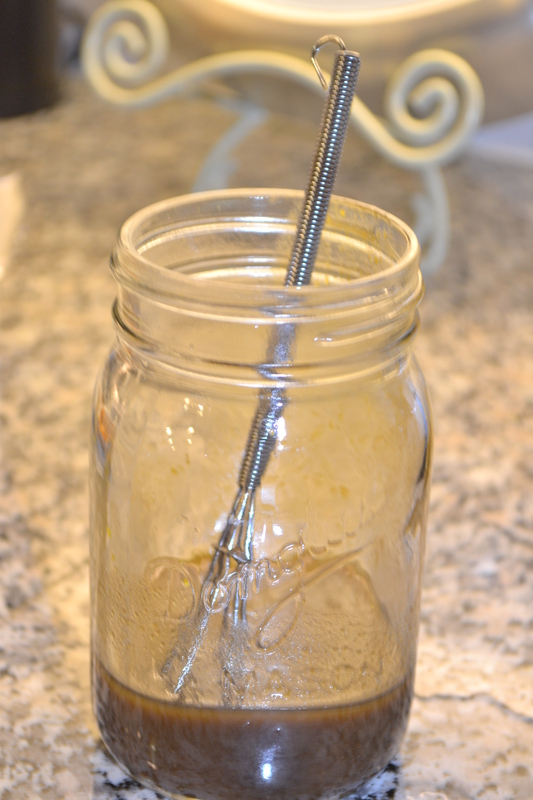 Whisk together ingredients for vinaigrette and drizzle over salad. Serve cold. This is Susan, Laura’s mom. She introduced me to your blog today and I must say I am so impressed! I love it! It looks amazing, the pictures are gorgeous and it reads so well. I am reading every word and I am going to try some of the recipes (like the quinoa- spinach salad). If you ever want recipes on some specific topics, I might have some so let me know. Bravo on a great blog from a fabulous young lady!